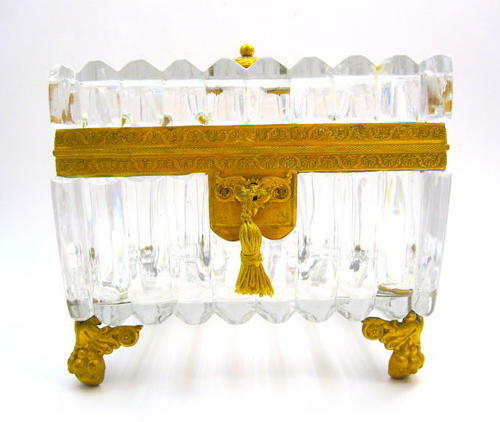 Rare LARGE Early Superb Baccarat Cut and Ribbed Crystal Casket with Fine Dore Bronze Mounts. The Lid Surmounted by a Dore Bronze Ringed Hand Holding an Bow. The Escutcheon Decorated with Scrolled Acanthus Leaves and Surmounted on Four Dore Bronze Lions Paw Feet.